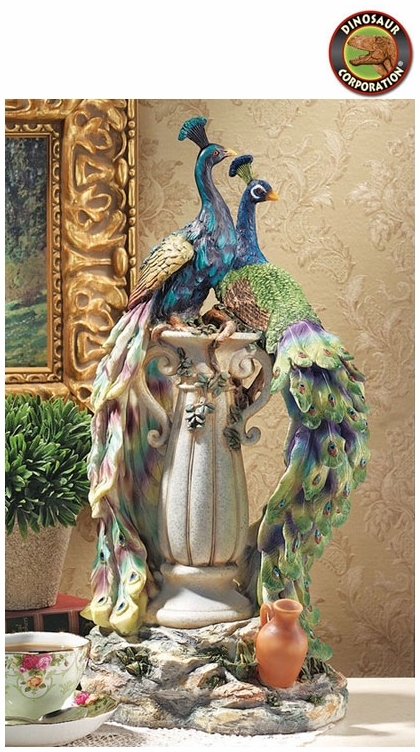 Peacocks in Paradise outdoor and indoor statue is sculpted 360 degrees to be admired from any angle, the graceful lines, explosive color and vibrant plumage of these regal peacocks flanking a tapered urn are truly artistically inspired. At almost two feet tall, the artist's elegant birds are cast in quality designer resin and exquisitely hand-painted for home or garden gallery. * Size: 9�" W x 7" D x 19" H.